Fro the last few years St. Martin's Island, the only coral-bearing island in Bangladesh, has been facing an ecological disaster due to excessive tourism. Even the very existence of this newly born island, which is at most 150 years old, and small in size, is under threat from unlimited and eco-unfriendly tourism activities. The dumb--bell-shaped Saint Martin's Island, locally known as Narikel Jinjira, is located on the southern-most tip of Bangladesh, and separated by a channel of about 8 km from the mainland. The surface area of the island is about 8 square km with a maximum width of about 1km. During the tourist season, which runs from October to March, about four thousand tourists a day pour in on such a small and low-laying island. 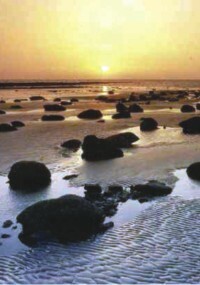 The fragile eco-system of St. Martin's Island cannot sustain such mass tourism; the island is suitable only for sustainable and responsible tourism. Sustainable tourism is that level of tourism, which makes a low impact on the environment and local culture, while it helps to generate income, employment, and the conservation of local ecosystems. It is responsible tourism being both ecologically and culturally sensitive. Every tourist spot has a tourist carrying capacity. If that capacity is exceeded, tourism activities start having adverse effects on the local ecosystem and culture. With the onslaught of mass tourism, sewage and waste disposal in the island are placing heavy burden on the island. The tourist hotel built at the west beach has connected its sewage line to the seawater, which contaminates the ground water and adversely affect the bio-diversity of the island. The collection of corals and shells as souvenirs by the tourists is posing a threat to coral colonies of the island. The disposal of plastic materials like poly-bags, plastic bottles etc by tourists on the island is harmful for the corals. Hotels on the islands are making lighting hazard in the nearby sandy beach, which was previously used as a nesting ground by the turtles. It is reported that these days turtles encountering disturbance by light go back without laying eggs. The tourist season and nesting season of turtle coincide with each other. Moreover, the tourists make noise and enjoy fire camping for fun at night thus disturbs the sea turtles. Numerous engine-driven boats bring tourists to the island. The discharge of pollutants such as oil, exhausts from these boats near coral sanctuary areas is causing irreparable harm to the corals. Tourist boats anchoring at the island cause direct damage to the boulder reef. The Ministry of Environment and Forest is responsible for the conservation of biodiversity, marine park establishment and eco-tourism development at St. Martin's Island. So, it is the responsibility of this Ministry to help develop eco-friendly and sustainable tourism on this island the only coral-bearing island of our country; and prevent any mass tourism activities for the protection of the eco-system and the very existence of the island. For this purpose they may follow the footsteps of other countries, which are saving their eco-sensitive islands from excessive tourism. One such example can be cited here: The Galápagos Islands of Ecuador are an archipelago of 13 volcanic islands located in the Pacific Ocaen about 1000 km west of the coast of South America. Research conducted on these islands helped Darwin develop his Theory of Natural Selection. ♣ It should immediately declare St. Martin's Island as a national park. ♣ No construction of hotel, motel or tourist resort with non-biodegradable materials should be allowed on the island. ♣ The number of tourists allowed into the island per day should not exceed a thousand. ♣ In this island, the generation of electricity only by solar power will be permissible. ♣ No hotel, motel, tourist resort will be allowed to put on its outdoor lights. After 7 PM they will be allowed to use only candlelight. ♣ The hotels, motels, tourist resorts built near the beach should be moved inside. They should not be allowed to connect their sewage line to seawater. ♣ Disposal of plastic bags, bottles on the island or in the sea near the island should be prohibited with penalties for violators. ♣ No mechanised boat should be allowed within 500 yards of the island. In 1959 the Ecuador Government declared the Galápagos islands as a national park. A total of 97% of the land space of the islands has been set aside for this purpose, with the remaining 3% for use by people. UNESCO declared the Galápagos Islands Humanity Natural Heritage in 1979. The islands are believed to date back to six million years as a result of volcanic activity generated beneath the ocean's floor. To protect the islands and its biodiversity from excessive tourism, the Ecuador government has introduced Galápagos Park Entrance Fee at US$100. To develop sustainable tourism on the island, instead of hotel, motel etc, home stay with the islanders may be introduced, which will benefit the local people from the tourism activities on the island. To build home stay facilities for the tourists, the islanders may be given micro-credit. The urban-based tour operators will conduct the tour packages to the island. Their business will be to arrange tourist groups, bring them to the island and back. About six thousand people live on St. Martin's Island. Most of them live on fishing. 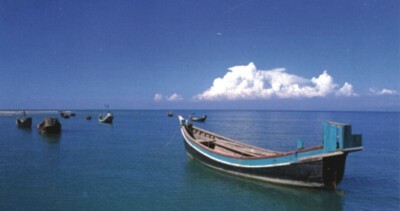 About 25 years back fish were in abundance near the coast of the island. The fish resources have been depleting fast due to over-fishing not only by Bangladeshi fishermen, but also by fishermen from Myanmar and Thailand. A report says that due to the depletion of fish resources, 30% of the islanders are likely to become unemployed immediately. Sustainable tourism can be an alternate livelihood for them. There are so many islands dotting the coastline of Bangladesh. Though they are not coral islands, they are no less attractive than St Martin's island. St. Martin's Island has received enormous media coverage; as a result domestic tourists flock to that island. If other islands such as Nijhumdeep, Sonadia, Moheshkhali, Char Kukrimukri etc are given media coverage, it will reduce tourist pressure on the St. Martin's Island. But utmost care should be taken that tourism in any coastal island should be eco-friendly and sustainable. 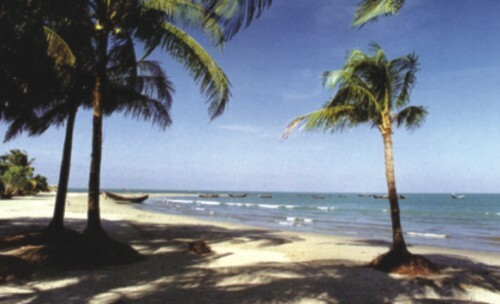 In Bangladesh, only Sonadia Island has a white sand beach. During the tourist season regular boat service may be introduced to connect this island as well as other islands with the main land. 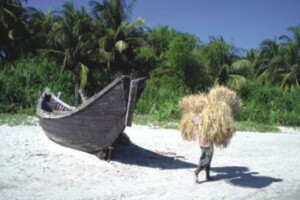 A government regulatory body may be formed to look after the development of tourism in coastal islands of Bangladesh. We should not 'kill' St. Martin's Island in the name of tourism.